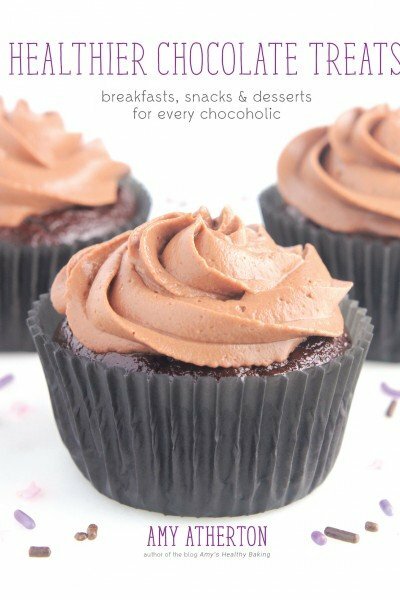 The Healthier Chocolate Treats cookbook is perfect for any and all chocolate lovers. Whether you enjoy chocolate occasionally or every single day (that’d be me! ), there are plenty of goodies inside for you! 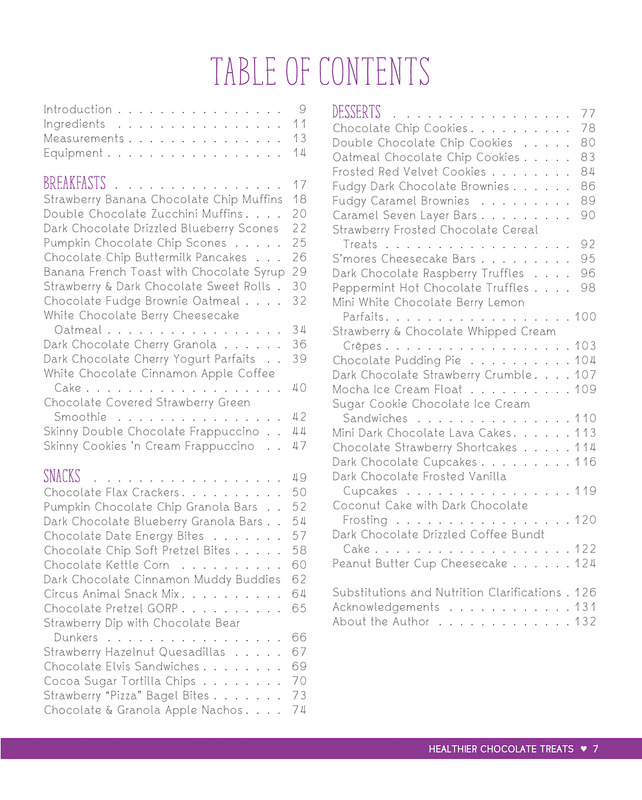 Healthier Chocolate Treats contains 50+ brand new healthier recipes. These recipes have never been seen before or appeared on my blog. You won’t find them anywhere else! And yes—every single one contains some form of chocolate. Whether you prefer milk, dark or white, there are lots of treats inside for you! 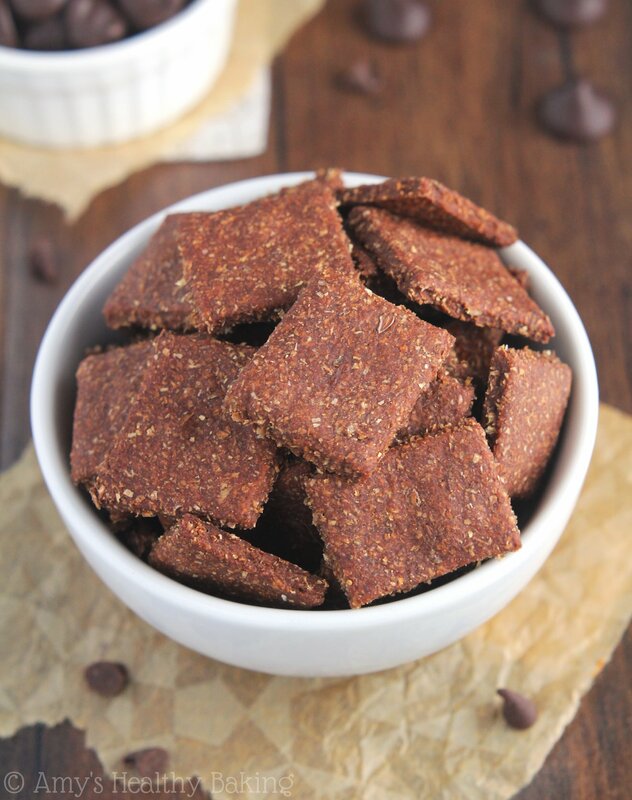 What Inspired You to Write Healthier Chocolate Treats? I have always loved chocolate. Every Halloween throughout my childhood, I inverted the entire contents of my bright orange jack-o-lantern bucket (later replaced by a witch- and ghost-patterned tote, hand sewn by our neighbor) onto the living room floor, plopped down cross-legged in front of the mountain, and meticulously sorted the candies. I first grouped them by category—hard, chewy, fruity, chocolaty—then further divided those by the exact brand—Starburst, Skittles, M&Ms, Twix, KitKats. From a very young age, I started saving “the best for last,” so I plowed through all of the fruity treats first, leaving the chocolaty ones on my special candy shelf in the pantry for as long as I could. The 3 Musketeers and Reese’s peanut butter cups stayed in my little candy bucket long after everything else disappeared! I continued to do that throughout elementary and middle school, but when I stopped trick-or-treating in high school, I found a new source of chocolate. My mom started buying small tubes of dark chocolate from Trader Joe’s the year before, about six inches long and filled with around twenty round pieces, less than an inch in diameter and a quarter inch thick. During my year in 8th grade, she nibbled on one or two of those in the afternoon and evening to satisfy her sweet tooth while my brother and I reached for chocolate chip cookies from the pantry, and after I took the required freshman Health class in high school, I started skipping those cookies and opting for a piece of Mom’s dark chocolate, too. Over the next four years, we started stocking the pantry with at least five different varieties and brands of dark chocolate at any time—usually around 70-72% and almost always from Trader Joe’s—and I brought that chocolate love affair with me to college. 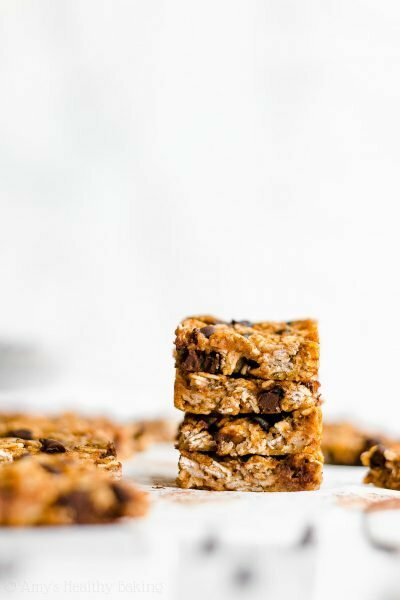 It stuck with me throughout my undergraduate and graduate school days, and it grew even deeper when I left my job to work full-time on Amy’s Healthy Baking. 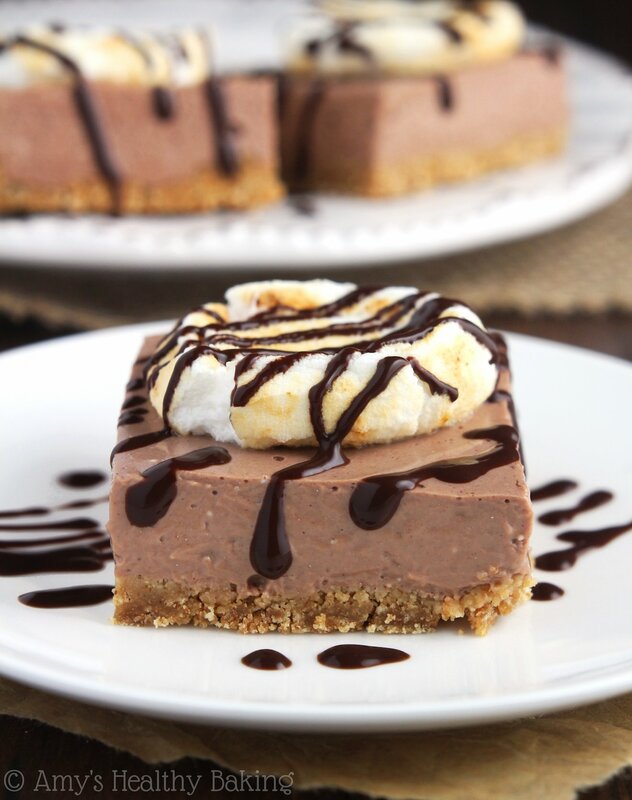 Since I worked alone at home, nobody was there to notice—or judge me!—when I snuck an itty bitty square after breakfast… And another after lunch… And another as a mid-afternoon snack… And since dessert after dinner is basically mandatory, there went another few squares! So when presented with the opportunity to write a cookbook, I immediately knew what the subject would be. 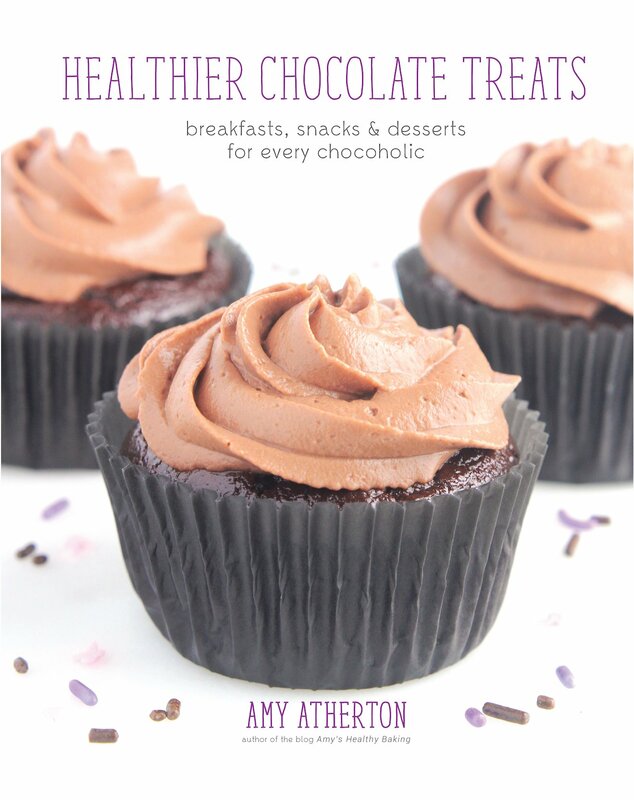 As a health-oriented girl and a huge chocoholic, Healthier Chocolate Treats was the perfect cookbook for me! What’s Inside of Healthier Chocolate Treats? ›› Ingredients. 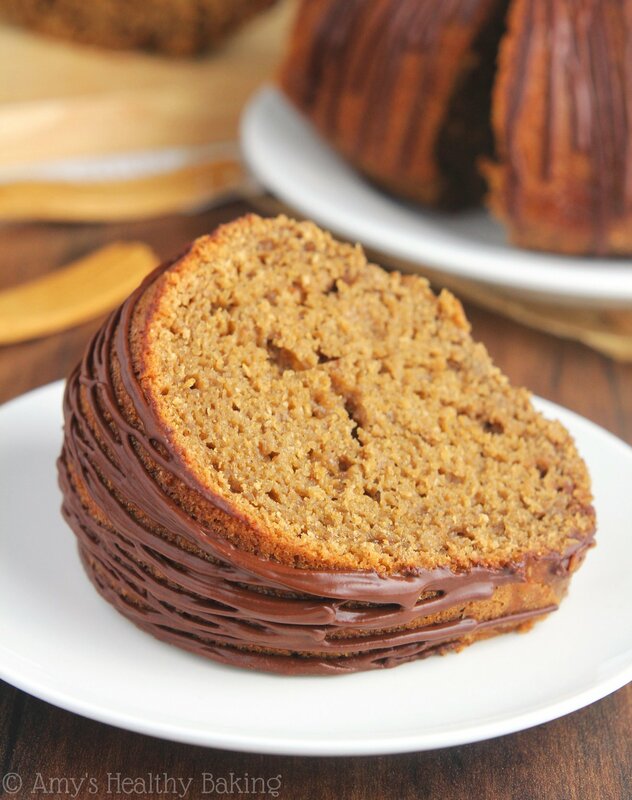 I included every single ingredient you’ll need to make each and every one of these recipes! They’re all fairly common pantry staples, so you won’t need to search 17 different grocery stores to find them. Even better, they’re basically all inexpensive! ›› Measurements. When it comes to baking, it’s incredibly important to measure each ingredient correctly to ensure your treats turn out with the perfect taste and texture every time. In this section, I outlined how those ingredients should be measured to take all of the guesswork out of it for you! ›› Equipment. Just like in the Ingredients section, I listed every piece of equipment you’ll need to make every recipe in the cookbook. It includes everything from measuring cups and mixing bowls to an ice cream scoop and cookie cutters! ›› Substitutions. 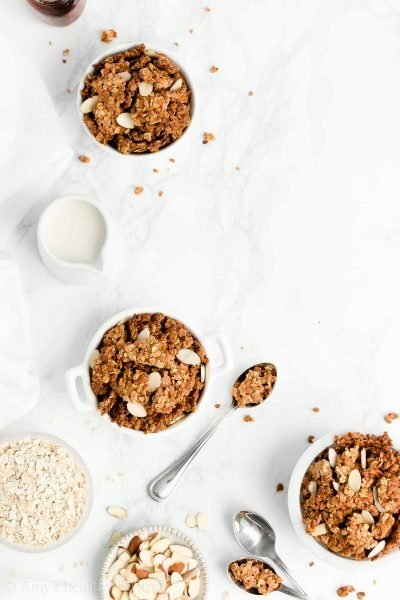 If you run out of a particular ingredient or want to adapt one of the recipes to better suit your dietary needs, this section goes over the best substitutions for each recipe. 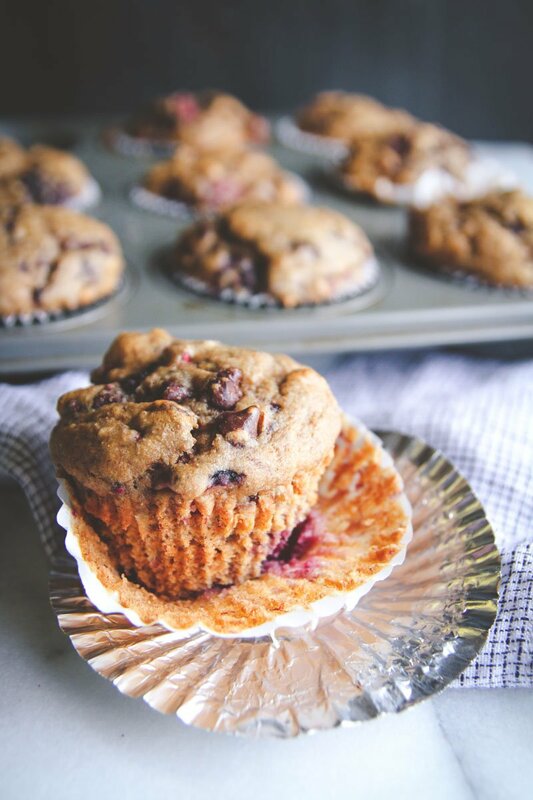 It’s very extensive, just like each recipe here on my blog, because I want you to feel like you can enjoy every single recipe while still sticking with your preferred diet! 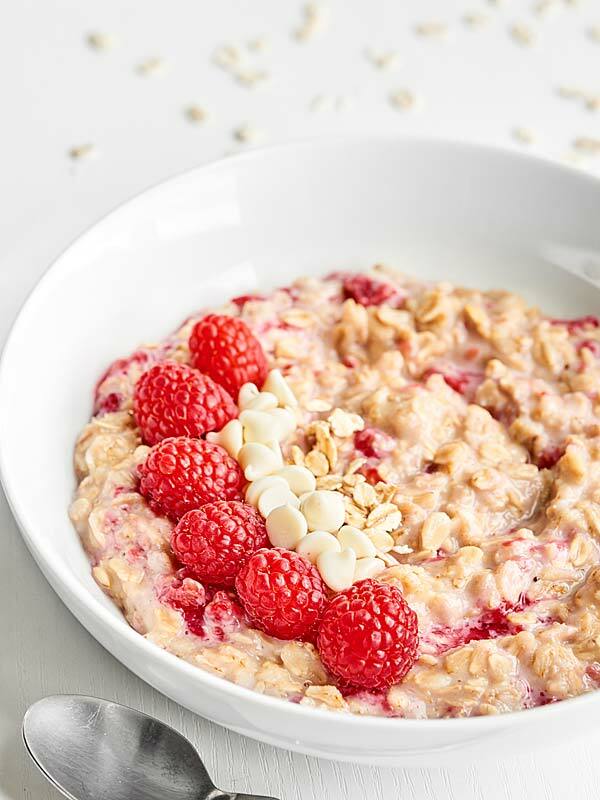 How Did You Make the Recipes Healthier? 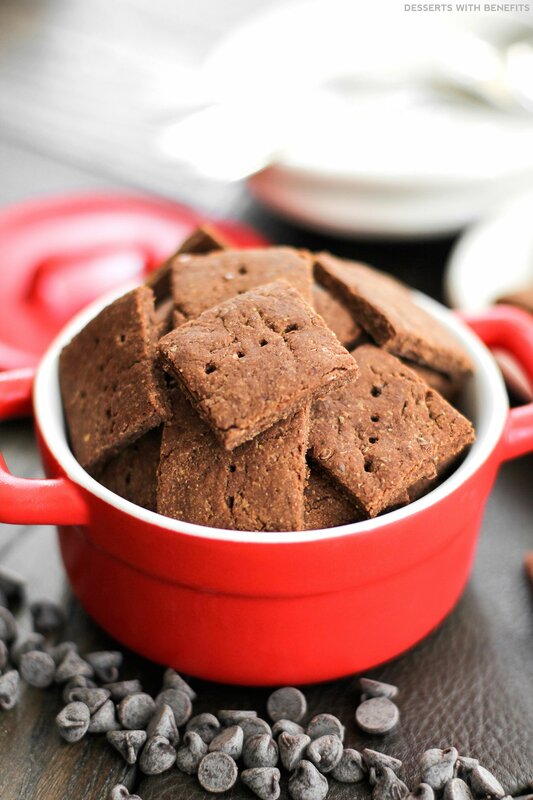 The recipes in Healthier Chocolate Treats are much lower in fat and calories compared to traditional versions—but without sacrificing any of the flavor! 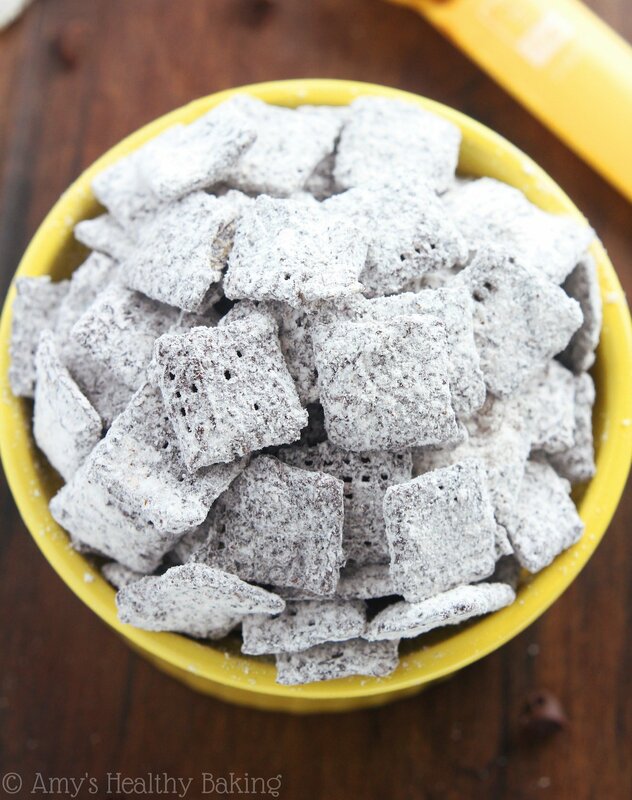 To achieve that, I used a couple of my favorite tricks, including Greek yogurt, milk, and vanilla extract. To learn more, watch the video above! And for a few more of my favorites (and their photos! ), watch the video above! 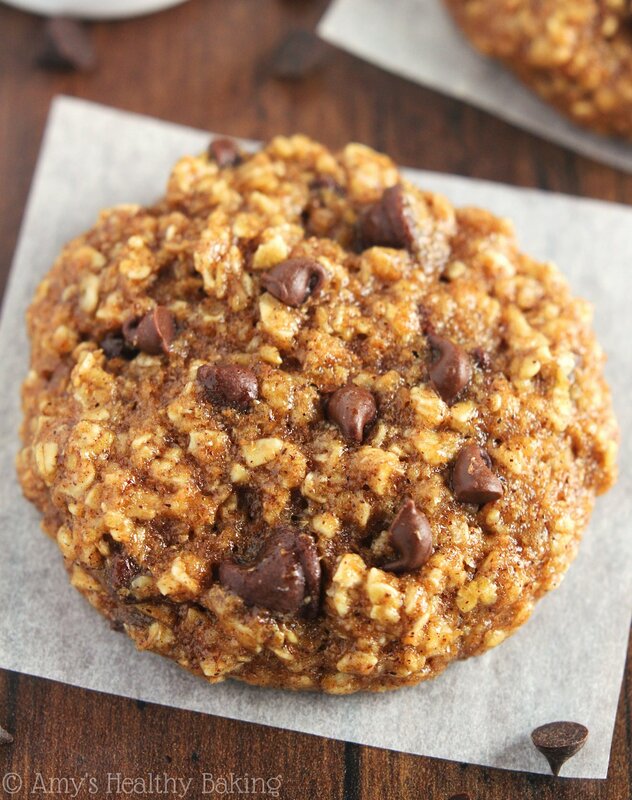 Where is Healthier Chocolate Treats Sold? You can purchase the digital eCookbook right here and the hardback cookbook right here! The digital version will be available to download as soon as you check out, and the hardback version will be shipped in the mail within just a few days. Can I Send You Pictures of What I Make? Yes!! And I really wish you would! 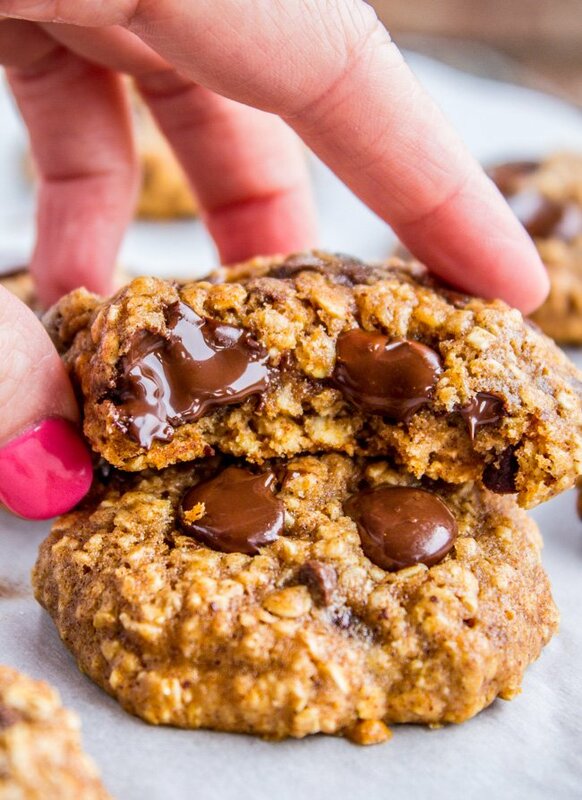 The best way to do that is to post your pictures on Instagram using #HealthierChocolateTreats and tagging @amyshealthybaking IN the photo itself, too. (That guarantees that I’ll see the notification from you!) 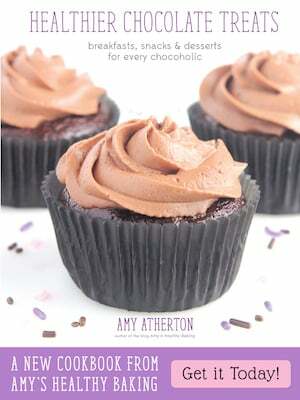 You can also post them on my Amy’s Healthy Baking Facebook page. I’ll be sharing those photos below, so I can’t wait to see what you make and feature your picture! 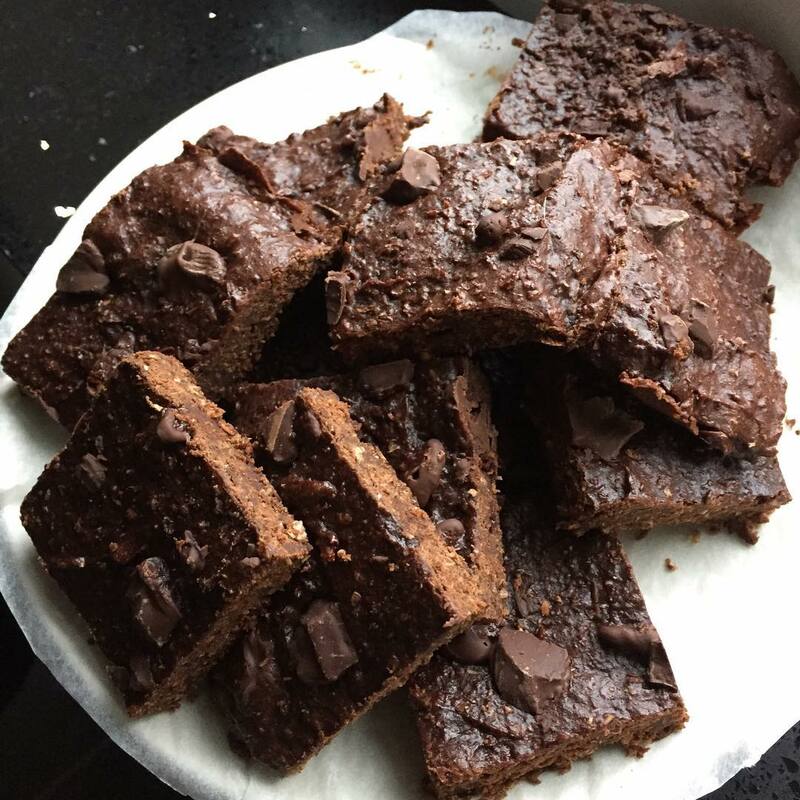 Here are the recipes that you’ve made from Healthier Chocolate Treats, taken pictures of, and shared with me! 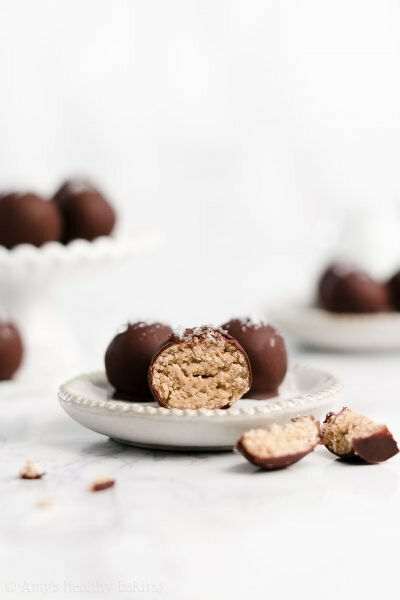 If you’d like to see your picture here, then post it on Instagram using #HealthierChocolateTreats and tagging @amyshealthybaking IN the photo itself, too. (That guarantees that I’ll see the notification from you!) 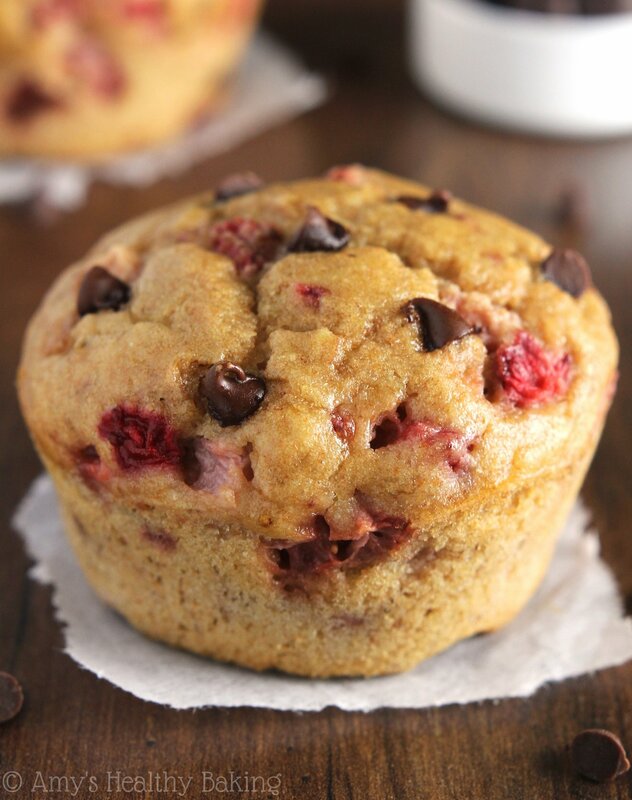 You can also post them on my Amy’s Healthy Baking Facebook page. I can’t wait to see what you make! 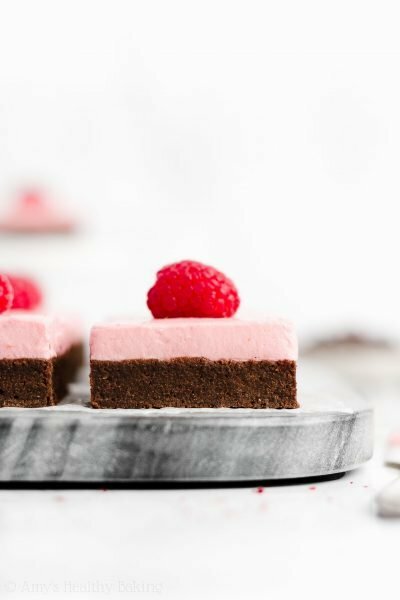 If you’d like to see your picture here, then post it on Instagram using #HealthierChocolateTreats and tagging @amyshealthybaking IN the photo itself, too. (That guarantees that I’ll see the notification from you!) You can also post them on my Amy’s Healthy Baking Facebook page. I can’t wait to see what you make!